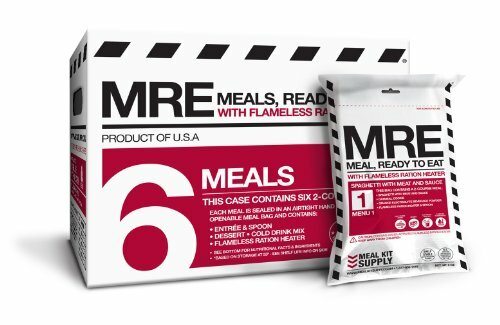 6 Best MRE Reviews - Meals & Ready to Eat Boxes in 2019! One of the biggest issues in long trekking, whether it is for military reasons or for personal ones, is access to supplies. In many cases logistics were created to support long columns of travelers, however, even with such strong lines, certain personal resources had to be carried by the travelers or soldiers. 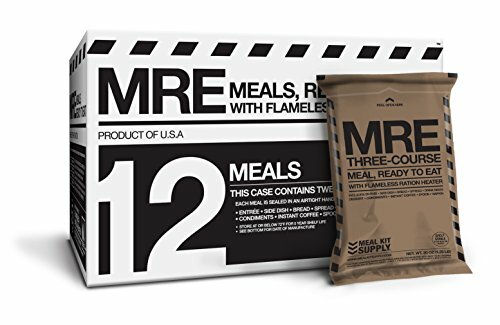 The MRE, which stands for Meal, Ready to Eat is one of the US military’s developments that has transferred over from the military to civilian usage. Before it transferred over, it went through years of development, testing, and evaluation till it reached the nutritional and preparation standards that are available today. The first personalized meals were developed way back in the 18th century during the revolutionary war. Soldiers would carry a utensil for cooking in the field and food that was good for one man’s meal, including beef, peas, and rice. Just under hundred years later, during the civil war, the military MRE included canned goods (a recent invention) as well as sugar, salt, bread and more. Jumping ahead another fifty years and soldiers in WWI would carry lightweight meals including preserved food. The biggest change occurred during WWII, where MRE’s were developed for different geographical areas such as mountain ranges and jungles. During this time, SPAM became a predominant factor in all army rations, and “wet” food dominated MRE’s well into the Vietnam war. It was only after WWII that the Pentagon started to perform in-depth nutritional research into the army rations, the MRE’s needed to provide enough calorific intake to sustain a soldier well into battle and through fatigue situations. This meant developing an MRE that was military in style, full of fats, sugars and some proteins. The ME also had to be tasty. Otherwise, soldiers would forgo eating them and lose strength and concentration with the onset of battle fatigue. The developers also needed to find ways to lighten the load and increase the number of meals and rations or portions per load, so that soldiers could essentially carry more food for longer periods. This would ease the need for a cumbersome logistics process required to maintain the MRE load in war zones. 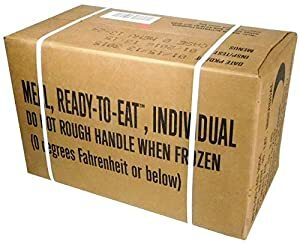 This is the year that the Department of Defense developed the “Meal, Ready to Eat,” the MRE would become a lightweight, highly nutritious combat meal as well as the LRP or long-range patrol ration that provided a full dehydrated meal option to the canned wet goods. After 11 years of laborious efforts, the DoD developed a plastic retort pouch that helped store the MRE rations in light and secure manner. This opened up the menu section of MRE’s to include full gastronomical choices. In the 1990’s with the advance in material engineering and other scientific sectors, the DoD included the new Flameless Ration Heater (FRH), a water-activated exothermic reaction unit that emits heat. This FRH is used to heat up rations, making hot meals easy to attain in the field. The number of military MRE items is not more than 150 different recipes, with over 24 entrees and they can be heated or eaten cold. The outcome of all this military endeavor spilled over during the time it was under development and seeped into civilian use. Especially in mountain climbing, where severe weather conditions and long trips demanded easily obtainable meal source. Another sector of society that the MRE was developed for was the “nuclear” threat society, where bunkers with ample food supply were required to stay out the radioactive winter that comes after a nuclear attack. 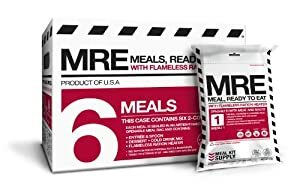 MRE’s are also distributed by the government after natural disasters, such as hurricanes and flooding. Where access to food is scarce, and the civilian population is concentrated in some areas and spread about in others. Today, it is common to find the more active hiker, hunter, and traveler taking aboard MRE’s that have been created by chefs to provide scrumptious meals. Military MRE’s take into account that eh average soldier will burn anywhere over 4,200 calories a day. This is virtually double that of an average male, who needs 2,100 calories a day. The other difference is that the military MRE is designed to provide high fat and sodium content, which is suitable for tactical situations. Most military MRE’s contain around 1,200 calories per serving and are intended for consumption over a period of 21 days. Their shelf life varies but is usually over 3 years. MRE packaging requires the ability to withstand high and low pressures, as well as extreme weather conditions. They must be able to withstand severe bumping, such as a low parachute drop of 380 meters to a non-parachute drop of 30 meters. The MRE weighs around 600 grams each but depends on the menu that the soldier receives. Powdered beverage mix: fruit flavored drink, cocoa, instant coffee or tea, sports drink, or dairy shake. Civilian MRE’s are diverse and developed to attract attention to the taste and menu options available. Since civilians are not in a combat situation, and usually have more time to enjoy their meals, civilian MRE’s cater to more menu options. They also compete in calorific content and view for different niches, such as high protein and low carb diets. Some MRE’s developed are “diet” menus aimed at supplying people with nutrition options for meeting certain dietary goals. I served for many years in the military and have been in numerous situations where the only food I had was access to MRE’s. Believe you me, in the field, beggars cannot be choosers. That is why I have collated a list of the top 10 civilian MRE’s available in the US and hope you will enjoy tasting them as much as I did. Some of them pack a nice surprise, and even if I was dead tired after a 40km hike, I enjoyed the quick preparation and taste of hot mac and cheese more than I used to enjoy chewing on beef jerky or making a spam sandwich in the field. My advice, test each one before you decide which one to settle with, you are not in combat, and you have freedom of choice, so take your time and taste each meal until you hit the jackpot. Also, remember that diversity is important. Don’t fixate on one meal type, take as many as you can. You don’t want to end up eating the same meal every day. I will start with the most obvious, the military MRE which is attainable and can be bought online. This is not really suitable for most civilian use. If you are into long trekking, mountain climbing or extreme sports, then this one is best suited for your needs. This MRE is an original DoD box that includes 12 different Meals per Case. The box contains FRE’s for heating up the rations in the field without danger of starting a fire. This box includes coffee or beverage powder, matches, seasonings, gum, wet wipe, tissue. Since it is military, it is set at 1,250 calories per ration and is good for 21 days. As you can see, this is a civilian MRE. The “bucket” and colorful pictures are a dead giveaway. 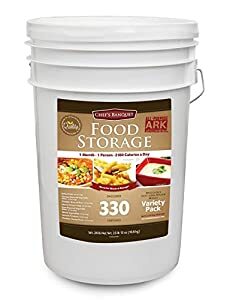 Each bucket holds 12 meals and can feed you for 3 and half days. The bucket has a 30-year shelf life, which is proven according to Mountain House. The company has been around for longer than 30 years, so I guess this claim came only after they completed their first 30 years of operation. They also provide a 30-year retained flavor guarantee, so if you buy a box and open it in 29 years and the taste is not good, you get your money back! The menu calorie count is based on 2,000 calires/day. All you need is water to add to these freeze-dried items, and you can eat directly from the pouch. Chef’s Banquet offers a 30-Day Supply including 330 servings of delicious chef-prepared meals. 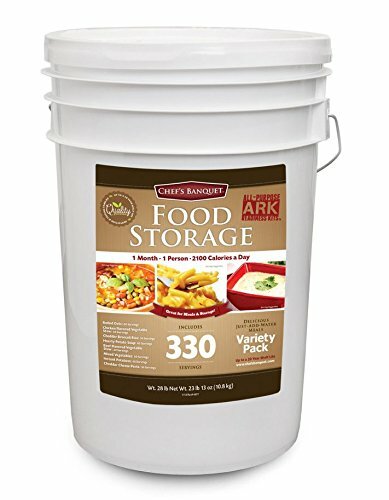 The items come in what Chef’s Banquet calls an ARK, which stands for All-purpose Readiness Kit. Each kit provides a 2,100-calorie daily intake for 30 days. The meals take under 20 minutes to prepare, and the shelf life is claimed to be around 20 years. 2,100 Calories/day for 30 days (1 person). The items are packaged in metalite pouches that provide high oxygen and moisture barrier. There is an Oxygen absorber in each pouch. 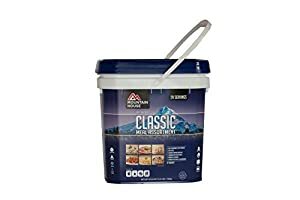 A 6-gallon round durable weatherproof pail with sealed lid. All the meals are individually packed in 30 serving pouches. Hearty Potato Soup – 60 servings. Chicken Flavored Vegetable Stew – 30 servings. Mixed Vegetables – 30 servings. Instant Potatoes – 30 servings. Macaroni & Cheese – 30 servings. Beef Flavored Vegetable Stew – 30 servings. Cheddar Broccoli Rice – 30 servings. Meal Kit Supply is a no-nonsense MRE kit supplier that relies on good value and good taste with a no-fancy approach, it’s more of a semi-military operation. The MKS MRE comes with a 6-pack solution and includes the FRE for heating up rations. The FRE solution means that you don’t need to start a fire to have hot food. This as much f a concern for your heating issues, as a concern for stopping forest fires. The MKS shelf life is 5 years, the short shelf life is due to the retort packaging process, and MKS doesn’t expect you to stock up on five years’ worth of supplies, just buy their product for your next field trip. The packaging is really neat and simple, which makes MKS one of the easiest options to pack in any backpack. Their military approach actually works, and their products are very tasty. The rations reproduced by a certified DoD MRE provider, so you are getting military grade rations. Each meal has 600 calories and is prepared for civilian usage in mind. This is the Meal Kit Supply 12 pack, that is identical to the MKS MRE 6 pack but contains double rations. As I mentioned above, MKS is a no-nonsense MRE kit supplier that relies on good value and good taste with a no-fancy approach, it’s more of a semi-military operation. The MKS MRE comes with a 6-pack solution and includes the FRE for heating up rations. The FRE solution means that you don’t need to start a fire to have hot food. This as much of a concern for your heating issues, as a concern for stopping forest fires. The rations reproduced by a certified DoD MRE provider, so you are getting military grade rations. Each meal has 600 calories and is prepared for civilian usage in mind. In my opinion, this is one of the best MRE for backpacking. Since MKS doesn’t supply snazzy photos like other companies, I have decided to add their full menu, taken from their site. This menu comes with a traditional Chili with Beans and Fried Rice. For desert they provide a TFF Lemon Poppy Seed Pound Cake with MRE Cracker and Strawberry Jam. Their juice is a Lemon Lime Electrolyte Beverage Powder. This is also a vegetarian menu and comes with a Cheese Tortellini and Fried Rice. For desert they give a Strawberry Toaster Pastry and an MRE Cracker with Fortified Cheese Spread. The juice is their Grape Electrolyte Beverage Powder. This menu is a great Meatballs in Marinara Sauce together with a Black Beans in Sauce. Followed by Chocolate Pudding. They include the standard MRE Cracker with Fortified Cheese Spread, and Lemon Lime Electrolyte juice as well as a wonderful Cocoa Beverage Powder. Another vegetarian main course, Vegetable lasagna with Black Beans in Sauce and a Hot Sauce. For desert they provide a TFF Spice Pound Cake, TFF Tortillas and Orange Electrolyte Beverage Powder, as well as their Cocoa Beverage Powder. This menu is great, it includes a Beef Ravioli in Meat Sauce with Black Beans in Sauce and BBQ Sauce. For desert they give a great Vanilla Pudding and an MRE Cracker with Fortified Peanut Butter. Juice is a Lemon Lime Electrolyte Beverage Powder. Some kids love this menu item, it’s a Sausage Patty with Hash Brown. They also give a tasyy Brown Sugar Toaster Pastry with a TFF Spice Pound Cake. This also comes with a Wheat Snack Bread and Peanut Butter. For juice they provide a Fruit Punch Electrolyte Beverage Powder as well as a Cocoa Beverage Powder. Wise Company Emergency Food Variety Pack includes 104 servings and has a shelf life of 25 years. 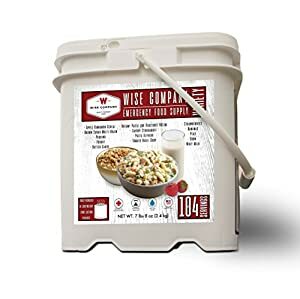 This bucket includes all the Wise food items, including entrees, Breakfasts, Fruits, Veggies, and Milk. As with the most advanced MRE’s, these come with the standard FRE for quick hydration and heating. This is one of the best MRE for camping.